The Last of Us is quickly becoming my favourite game of all time. There isn’t a bad thing about it. The story is compelling, original, emotional and undeniably heartbreaking. The voice acting in the game sets a new standard for every game that follows. Especially Joel and Elle. They are real people. It’s got to be handed to Troy Baker, he makes Joel come to life. From about five minutes into the game I cared about him. And then they add in Ashley Johnson as Elle. It’s rare to see a game that could be carried by the characters alone but this one could. I’ve never wanted to play a game so much, just to find out what happens next to them. I genuinely felt bad every time I got one of them killed, and that’s never happened before in a game. The gameplay perfects the game. It’s an action, adventure survival horror. Or at least that’s what I would call it. There is some kind of virus spreading around the world, that is killing people off in the millions. Twenty years pass and things still aren’t under control. Throughout the game you play mainly as Joel, and are trying to get Elle out of the city and into the Firefly’s hands. It’s a simple enough plot, but I’ll get onto that later. There are three main styles of gameplay here. Exploring the world Naughty Dog created, stealth to escape the mutated monsters and all out fighting to survive. I always love exploring worlds. Finding little secrets and strange things. And this game excels in that. There is one moment that really stands out in my mind when you walk through a small neighborhood and can go through most of the houses. Each one contains small snapshots of the people who lived there. So well executed and builds the world perfectly. The stealth moments in the game are full of tension. I really cared about the characters, and didn’t want to run in blind to any situation. You have very limited ammo and have to use other resources to make this last. Throwing bottles to distract people, sneaking up behind and stabbing someone and the occasional run for your life moment. If you don’t care about the characters then these points in the game won’t work. But it’s impossible not to care. I just needed to make sure they were still alive. There are very occasional all out war moments when you have to kill everyone and start shooting like crazy. These are few and far between, but they are well done. There is still some kind of strategy to it. You still will be low on ammo for most of the time, especially if you play on survivor. The story is simple but done in such a way that makes it seem so much bigger than it actually is. Most of this comes down to how much you care about the characters. So many little moments that builds them and their relationship through dialogue. Elle is infected, but she is also immune to the virus that has wiped out most of the world. Joel has to deliver her to the Fireflies. to create a vaccine, but along the way troubles arise and stop this from being so simple. I won’t spoil the end, but it is one of the best endings I’ve ever seen. Once I realised how close to the end I was, a thought kept on coming to me. There is no way to wrap this up and keep it this good. But they throw a curve-ball and manage to do it. There is a reason why I’m talking about this, nearly 8 months after release. Downloadable content was released last week that adds to the main story. I’m not one for DLC. I think it’s wrong that game companies can release a game at £40-£50 and then add stuff on at more cost. I won’t buy them, but I made an exception for this. I’ve never felt so satisfied with a game until The Last of Us and would jump at the chance of adding more to that. Left Behind did not disappoint. I have played through the main game 3 times, but that was a few months ago. It took about five minutes for me to get back into it. I played through it in two sittings. If I wasn’t so tired, I would have done it in one. It was a risky move adding to this game, but they pulled it off. It’s definitely my favourite ps3 game and is becoming my favourite game of all time. I’ve started writing a story that was inspired by this along with Under the Dome. Not the book, as I’ve yet to read it, but the tv show. I am no where near finishing it, but have a few scenes plotted out. F. Scott Fitzgerald said that “character is plot” and I’ve never really understood that until playing The Last of Us. It changed the way I thought about stories. It had that much of an impact on me. It doesn’t matter what happened in the game as long as Joel and Elle were there. They are what made it perfect. I have nothing to compare it too. 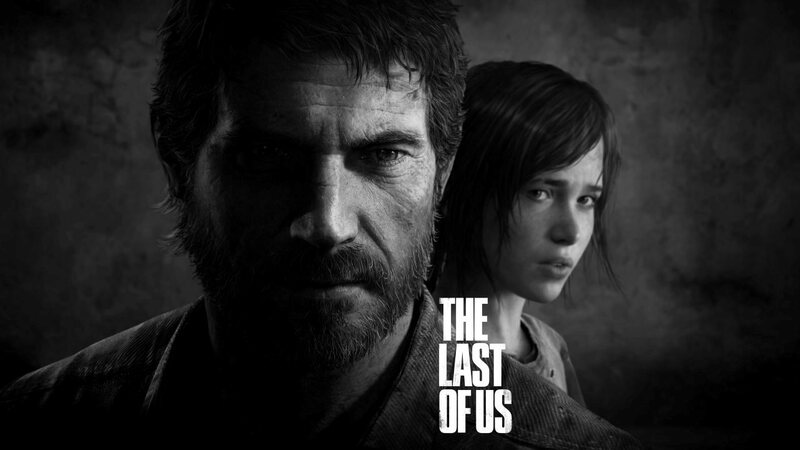 Maybe other people don’t see this game in the same way, but I have never cared about characters as much as I do with The Last of Us. My aim is to try and write a story that captivates that feeling. I know it’s not going to be an easy task, but it’s what I’m aiming for. This entry was posted in Uncategorized and tagged Author, Books, Games, Horror, Influences, PS3, Reading, Self publishing, Self-Published, Short Stories, Stories, Writing, YA, Young Adult Fiction. Bookmark the permalink.